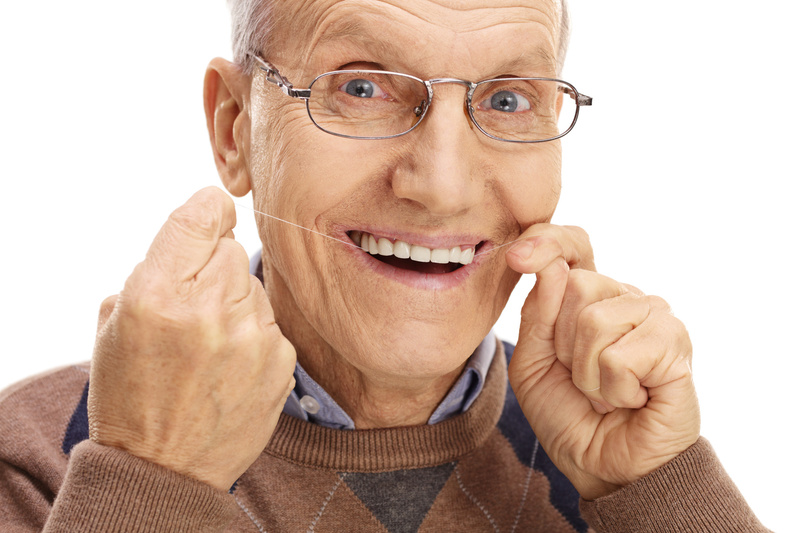 It’s never too late to start flossing. Older adults can still floss and they would greatly reap its benefits, as they are susceptible to gum disease. Why are older adults prone to gum disease? Aging. Gums will sooner or later start to recede as a person ages. Promote healthy gums and slow down recession of the gums with daily flossing. Osteoporosis. Osteoporosis is a common problem in adults who are middle-aged and older. Studies have revealed the connection of oral health to osteoporosis. Research revealed that gum disease can indicate osteoporosis. Women with osteoporosis are at high risk of periodontal disease. Dry Mouth. Also known as xerostomia, dry mouth is a dental care problem in older adults but is often unrecognized. Older adults usually fail to notice they have dry mouth or do not tell their doctors or dentists. Dry mouth increases the risks of periodontal disease because the production of saliva is not enough to remove food particles and the bacteria that can lead to periodontal disease. It can be caused by some type of medications like anti-seizure or anti-depressants. Always read the adverse effects of your medications and if dry mouth is included, be vigilant about brushing and flossing your teeth. Sjogren’s Syndrome. Sjogren’s syndrome is an autoimmune disorder that can happen regardless of age, with extremely dry mouth and eyes as the common symptoms. It is commonly present among women who are 40-year-old and above. Brushing your teeth after every meal and flossing your teeth at least once daily will reduce the risk of cavities if you have Sjogren’s Syndrome. Your dentist may recommend you use an antimicrobial mouthwash to prevent cavities. Take time to visit Voyles Family Dental to find out more about proper dental hygiene and how to prevent the risk of losing your teeth as you grow older.